The Endura mtb series 2011 kicked off over the weekend, we found ourselves nestled into the sunny sand hills of Woodhill bike parks. The event village was buzzing as the sun started to warm us up. The coffee was flowing as people catching up with friends and the registered riders getting there race number, free Endrua bottles which they quickly filled Horleys Replace sport drink. Lucky for the R&R sport mechanical support, there was a few riders caught out with bits dangling of their bikes. As for the big guns in the R&R Sport XC Champs, it was carnage. The start saw about 80 ofAuckland’s fastest mountain bikers attempt to ride in an orderly fashion, but they soon realised that this is not to be with a few riders tasting Woodhill’s finest gravel within the first 5o metres, with several other spectacular crashes. The course was long, longer (46.8km) than expected and several riders succumbed to the extra distance and heat. 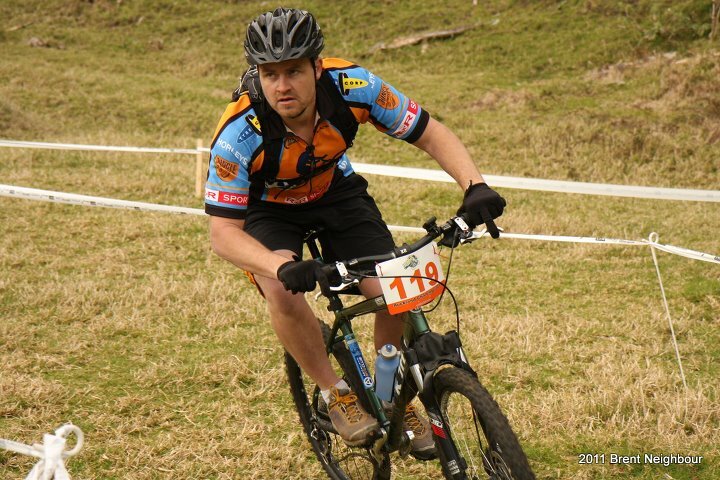 Singlespeed Sundays winner Matt Andrew was on the back wheel of Graham Norman who eventually won the race in a time of 2:33hrs. Matt Andrew and his fellow single speed riders finished there full four laps, great effort for no gears. Expert woman, Raewyn Morrison led the ladies to victory, a well earned birthday treat. The Bike Barn Auckland Challenge 15/30km event was a new addition to the series. 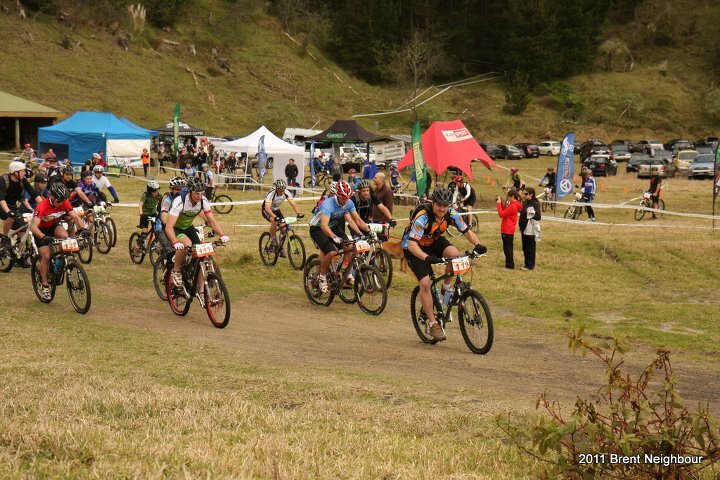 Riders from as far away as Whakatane, Taupo, Rotorua and Hamilton made the excursion to ride this event. There were plenty of smiles and cheers as 50 riders headed up the trails lead off by AucklandMTBClub handy man Andrew MacDonald who leaded the way to the 8km marker. The twist and turns of the north park of theWoodhillBikeParksorted the field out. The 15km riders hurtled down the tricky rutted and rooty down section towards the finish line with Ian McConnell blitzed the course finishing 40 minutes ahead of his closest rival, Time to enter the XC champs Ian. The Women’s 15km was as close as it gets with Samantha Osborne peddling away to take first from Katie McConnell who was only 18 seconds behind. The 30km riders got the best of the trails on offer with Shane Hall and Anna Dahlberg taking the victory. Sadly Andrew MacDonald could not hold the pace and dropped back seventh place.